in De Schalm, Oranjelaan 10, De Meern. Do you want to sell your smurfs at one of the Dutch smurf collectors fairs organized by ‘De Stichting van Smurfenverzamelaars’? Don’t hesitate to e-mail us (kooijman@stichtingvansmurfenverzamelaars.nl) for further information or table reservations. 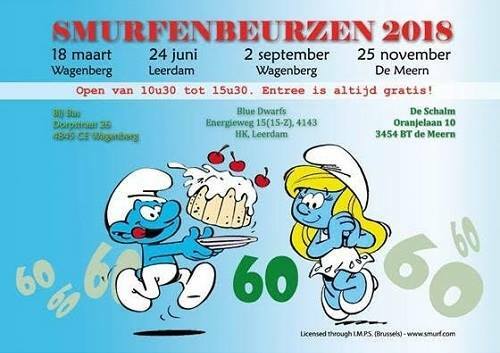 We can help you to make a reservation on one of these fairs (from 15 euro a table).